95% Recommendation Rate Based on 181 Surveys What's this? 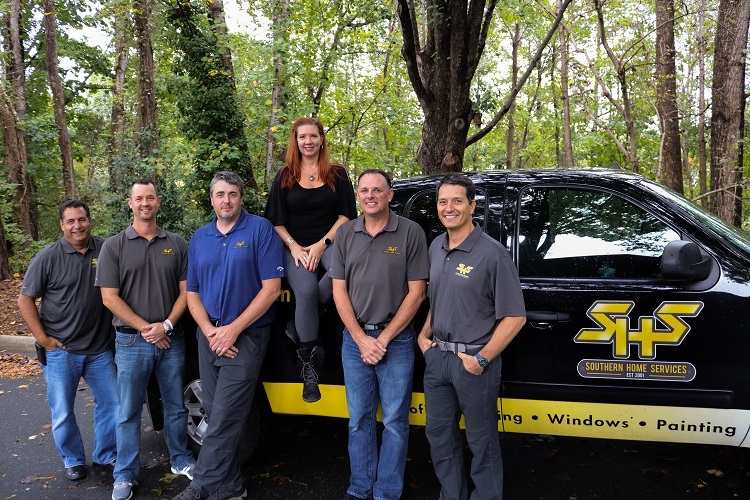 In 2001, owner Shawn Kalgren decided to make a career change that would ultimately set a new standard in the home renovation industry. He left the North Carolina school system to pursue a different type of service - Southern Home Services. Using his teaching skills in combination with his 20 years of home renovation experience, Shawn created a company whose values and principles are reflected by it's "A+" craftsmanship and "exemplary" customer satisfaction. At Southern Home Services, "Exterior Renovation Perfected by Superior Dedication" is not only our motto, but our pledge to every project we undertake and to every customer that puts their confidence in us. We can do this by bringing educational experience and trade expertise to the table so no customer is uninformed and no detail is overlooked. This is why Southern Home Services won't be seen on television or heard on the radio - their customers do their advertising for them. Southern Home Services, LLC is a trusted installer of beautiful, durable James Hardie siding – and we’re ready to provide you with an outstanding home transformation. Complete the form below to request a free, in-home consultation and installation quote.